Peris is a 28 year old Kenyan, a house mum who looked after us during my first volunteer trip in Kenya back in 2007. Any chance she could get off work, she would be up at the Children's Home, helping us look after the kids. She absolutely loves them! Peris was the one who started Friends Vision and came up with the name. In 2009, we decided to do all this properly, so we contacted some other volunteers to raise funds to build a real home for our kids and get the ball rolling. We started a child sponsorship program with our kids, sending them to boarding schools around Kenya. We only started off with 4 kids, and it took both of us days to do all their shopping. Now we have 26 kids and Peris looks after all of them so well! Peris is our person on the ground, not only for our sponsorship program, but also our Children's Home. 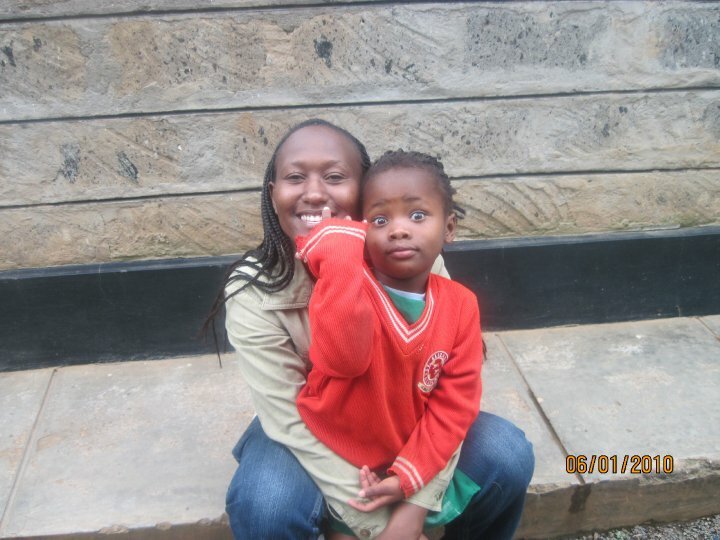 She is constantly making new contacts with charities in Kenya that we can work with. I'm looking forward to launching a new sponsorship program which will allow us to pay her and employ a few people to help out when the kids return to school and on 'Parents Days'. She is such an amazing person, we would not be able to have our Children's Home if it wasn't for her. She's my Sister and an inspiration to not only myself but so many people around the world. She is truly my hero!